We accelerate world-changing ideas, from Iowa. Yes, you’re invited! NewBoCo fosters a diverse and inclusive community, supporting, and encouraging people with big ideas of any kind. Ready when you are. From idea to validation to bootstrapping to scale, NewBoCo creates and runs programs to support you. Unicorns are imaginary. We’re practical; we build strong, reliable businesses where ownership remains primarily with the entrepreneur. Raise capital, where possible, by actually selling your product. Be agile. As an organization, NewBoCo adapts to change, iterates quickly, delivers value rapidly and prioritizes critical learning first to make better decisions in the future. We teach these same techniques to our community. Led by entrepreneurs that give before they get. Our program is led by people who’ve been there before, who live the give before you get ethos, and authentically believe in making the world a better place. A distributed network of amazing people. Mentors. Speakers. Colleagues. Friends. NewBoCo constructs and provides access to a world-class network of talented people to help bring ideas to life. NewBoCo is built to help grow ideas, from Iowa. You may or may not be from Iowa, but you can get your start here and impact the entire world. Within Iowa, NewBoCo will strengthen the state’s entrepreneurs, creatives, and technologists that are making big ideas happen. While headquartered in Cedar Rapids, our impact will be felt statewide. A win for Iowa City or Des Moines or Sioux City is a win for us too. When floodwaters ravaged ten square miles of Cedar Rapids in 2008, we came back stronger than before. We took our tragedy and used it as a springboard for our transformation into a vibrant community where innovation and collaboration thrive. This resilient spirit and deep love for our community was what formed our nonprofit, the New Bohemian Innovation Collaborative. NewBo City Market – a year-round indoor market featuring dozens of local food and craft vendors. Brewhemia – a family-owned café and bar located in the historic The National Building. Parlor City Pub – featuring great food and 56 beers on tap. Pig & Porter – local food from Iowa farmers and custom cocktails. The Next Page Bookstore – an adorable locally owned bookstore. Legion Arts, a theater, and enclave presenting cutting edge art, music theater, film and other events at a variety of venues, supporting young artists, experimental art forms, and new ideas. The Cherry Building, which houses dozens of loft-style businesses including ceramics workshops, artists, creative agencies, and more. Within walking distance of the bike path and trail system. Residential housing, including newly renovated lofts and brownstones, within walking distance. Local shopping including RAYGUN and more. In 2016, almost $20 million is being invested in the area, adding new retail, commercial and residential options. 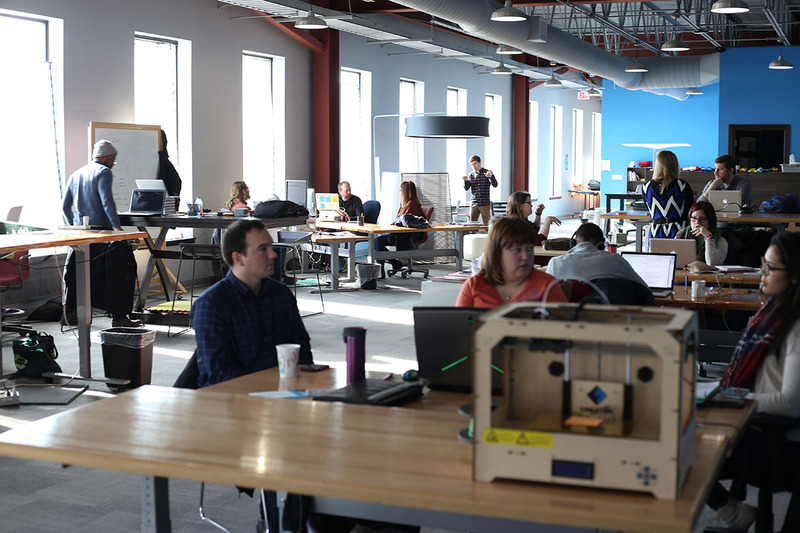 NewBoCo is located in the heart of Eastern Iowa’s entrepreneurial ecosystem, filled with the vibrant energy that creative people bring. 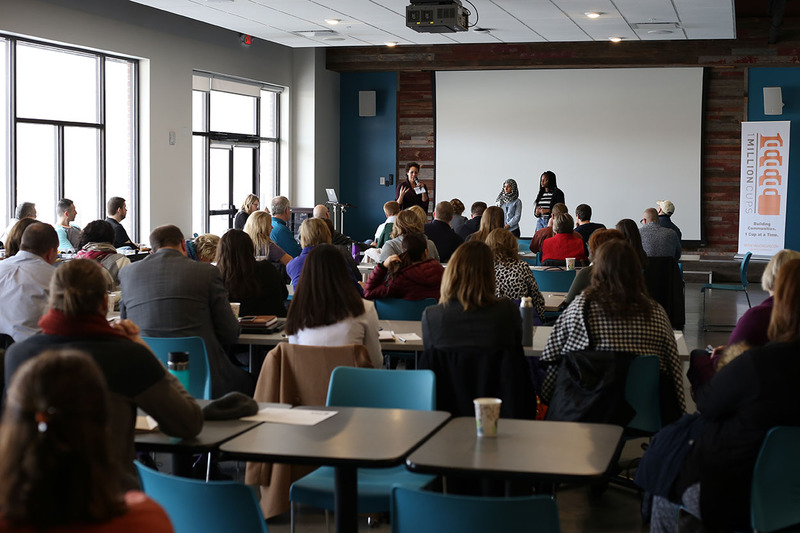 We’re intentionally packing a bunch of awesome people together – the ones who make things happen in our community – into Geonetric’s new 45,000 square-foot building at 415 12th Ave SE in Cedar Rapids, smack in the middle of the New Bohemia district. 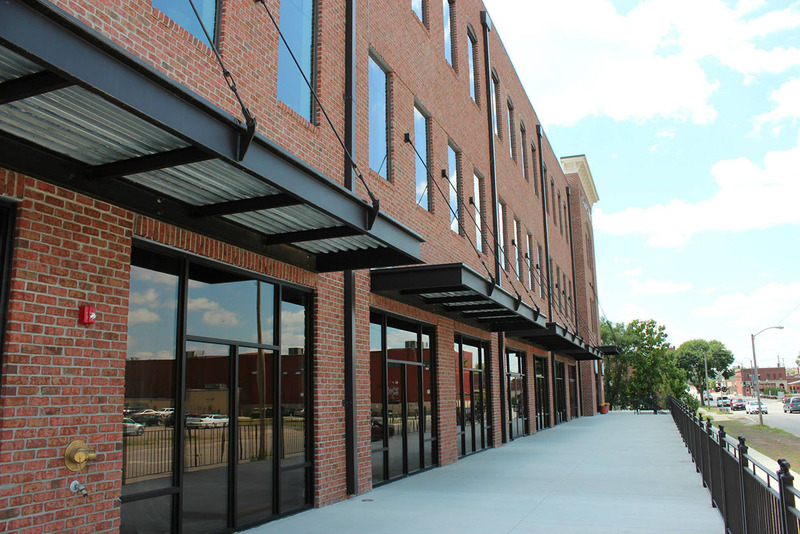 The Geonetric building houses three floors of full of developers, entrepreneurs, and creatives. 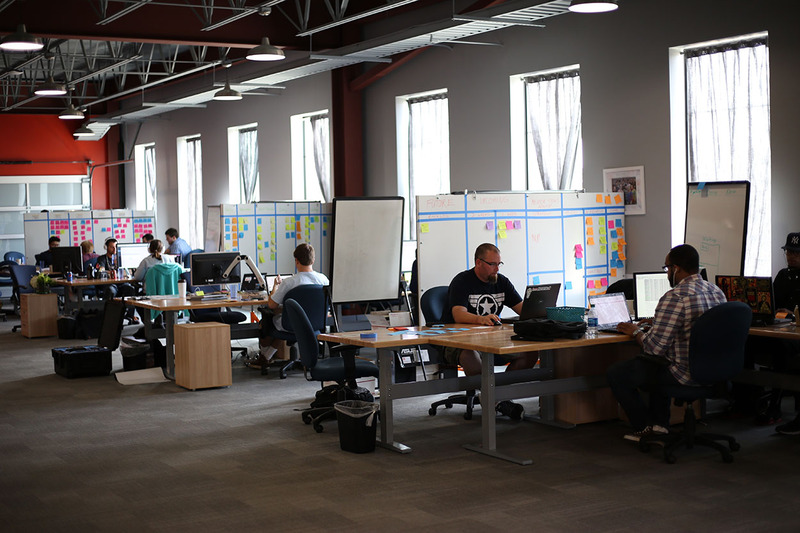 Vault Coworking, Cedar Rapids’ hub for entrepreneurs and creatives, shares the second floor with the accelerator – doubling down on the brainpower. The third floor houses Geonetric’s team of 80 software engineers, website designers, online marketers, and web-savvy wonks. 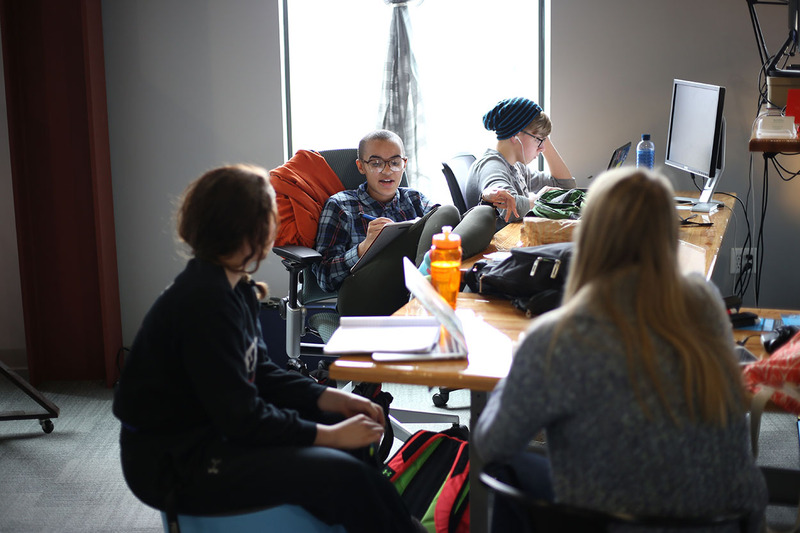 Cedar Rapids’ innovative STEM program, Iowa BIG, is located within the coworking space, working with around 130 high school students in the fall of 2016. 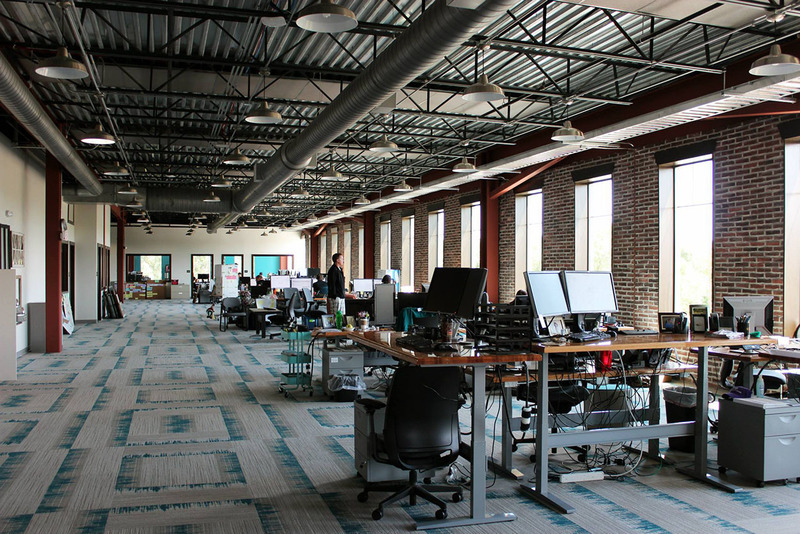 Iowa Startup Accelerator takes up about half of the second floor. The first floor is home to the private Catalyst Cafe, which contains coffee, food, and some more coffee, owned and operated by Geonetric for the benefit of building members. The cafe is also used for startup community events, like 1 Million Cups. 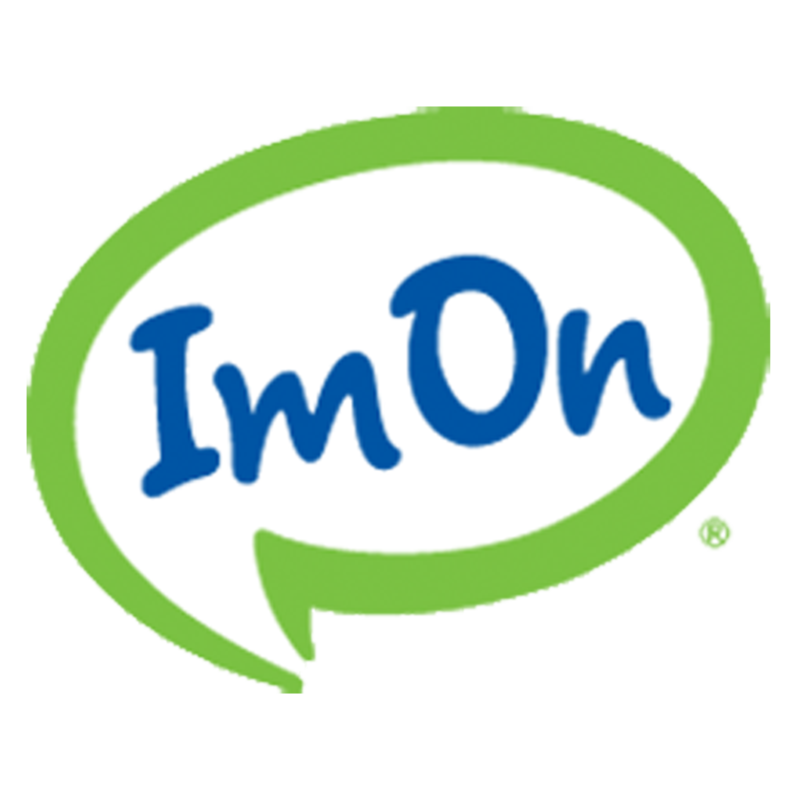 We’ve got up to 10 screaming gigabits of fiber optic Internet bandwidth, provided by sponsor ImOn Communications. Your startup won’t be starved for bandwidth, that’s for sure. Even if your startup isn’t a tech company, the Internet will play a vital role in your success. ImOn Communications, a founding sponsor, has donated a fiber connection with up to 10 gigabits of bandwidth for use by the Iowa Startup Accelerator, as part of ensuring that the Creative Corridor’s startup community has everything it needs.